Nathalie Y.R. Agar, Ph.D. is the founding Director of the Surgical Molecular Imaging Laboratory (SMIL) in the Department of Neurosurgery at Brigham and Women’s Hospital, and Associate Professor of Neurosurgery and of Radiology at Harvard Medical School. 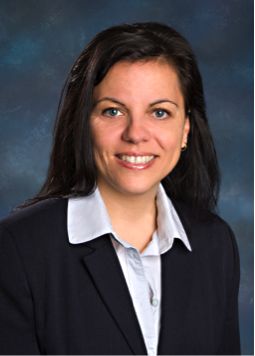 Dr. Agar’s multidisciplinary training includes a B.Sc. in Biochemistry, Ph.D. in Chemistry, and postdoctoral fellowships in Neurosurgery at McGill University, and BWH/HMS. 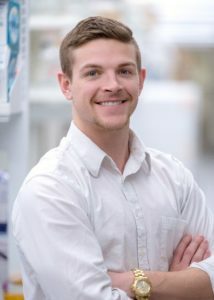 Bobby is interested in clinical and translational mass spectrometry method development, isotopic labeling, cancer metabolism, and clinical microbiology. Bobby is currently doing his post-doctoral research fellowship in the Agar lab. He completed his undergraduate studies in Biology and Chemical Engineering at MIT and obtained his M.D. and Ph.D. (in Pharmacology) degrees from the University of Pennsylvania School of Medicine. He completed a residency in Clinical Pathology and Medical Microbiology Fellowship at BWH. His clinical and research interests include mass spectrometry-based applications in the clinical laboratory. Elizabeth is interested in the development and application of mass spectrometry imaging methods and technology for image-guided therapy. 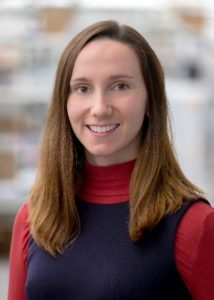 As an R25 Fellow with the National Center for Image Guided Therapy, Elizabeth will be working to develop analytical methods which can be used for improved detection, classification and diagnosis of cancer during clinical interventions. Elizabeth is a Postdoctoral Research fellow from the UK who joined the Agar lab in January 2017. 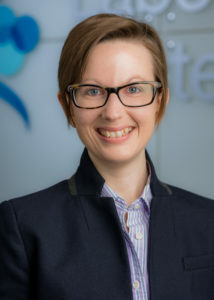 Elizabeth obtained her degree in Chemistry from the University of Birmingham in 2012, and went on to join the PSIBS Doctoral Training Centre. This involved training in multiple disciplines of physics, chemistry, life sciences, computer science and engineering. Elizabeth’s PhD research focused on developing multimodal mass spectrometry imaging methods in partnership with the National Physical Laboratory, UK. Elizabeth has a particular interest in research dissemination and during her PhD designed and delivered numerous outreach activities in local schools, museums and at the University. She also writes and illustrates children’s picture books about science. Begoña is interested in drug discovery and application of mass spectrometry in the pharmaceutical field, and metabolomics. Begoña is a Postdoctoral Research fellow from Spain who joined the Agar lab in June 2017. Begoña obtained her degree in Pharmacy from the Complutense University of Madrid in 2011 and then obtained her Ms.C. and Ph.D. in Science in the area of drugs, medicines and supplies for health from the University of Campinas in Brazil. Begoña is interested in different applications of mass spectrometry focusing on a pharmaceutical approach, going from drug discovery to a better understanding of drug distribution and metabolites. 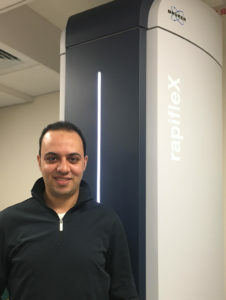 Walid is interested in biomedical image analysis, image registration, bioinformatics, computational methods for spatially-mapped omics, data visualization for large and complex biomedical data, and machine learning. 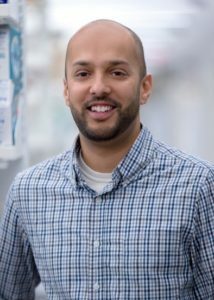 Walid is a postdoctoral fellow who joined the Agar lab in November 2017. Walid has gained interdisciplinary experience that allowed him to cross-links between medical/biomedical image analysis, mass spectrometry imaging (MSI), and bioinformatics. He has been developing computational methods for multi-modal multi-scale data integration (e.g. MRI, Histology, and MSI), analysis, and visualization for large and complex biomedical data such as 3D MSI (tens of gigabytes). Walid’s developments are used to address key biological questions aiming at identifying 2D/3D molecular patterns that are expected to provide deep insights for better understanding molecular mechanisms in some complex diseases (such as neurological disorders and tumor heterogeneity). Amanda is interested in applications of mass spectrometry imaging for improving the pharmacological properties of therapeutics, particularly for cancer. Her thesis research primarily focuses on discovery of biomarkers for the diagnosis and response to therapeutics in pediatric brain cancers. 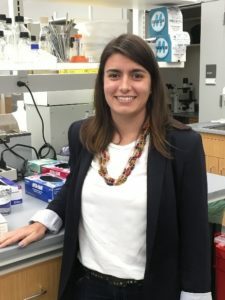 Additionally, Amanda is interested in the blood brain barrier penetration of small molecules and the physicochemical properties associated with that process. Amanda is currently a PhD student in chemical biology at Harvard University. Prior to beginning her graduate studies, Amanda completed a BS in Biochemistry from Central Michigan University where her research as a Ronald E. McNair Scholar focused on organic synthesis of antioxidant dendrimers. In addition to being passionate about science and research, Amanda likes running along the Charles River, doing yoga, and reading science fiction novels. Michael is interested in clinical translational medicine, surgical applications by ambient mass spectrometry, and chemical neurobiology. Michael has a profound interest in bridging the gap between research and clinical medicine through surgical applications using ambient mass spectrometry. Michael is also interested in how chemical neurobiology and neurokinesiology complement each other in relation to physical activity and sports medicine.